The House of Agnes dates back to the 15th Century and was referred to by name in Charles Dickens’ novel ‘David Copperfield’ as the House of Agnes Wickfield who eventually became David’s second wife. Centrally located, this beautiful Bed and Breakfast has the largest walled garden in Canterbury and free off-road parking. 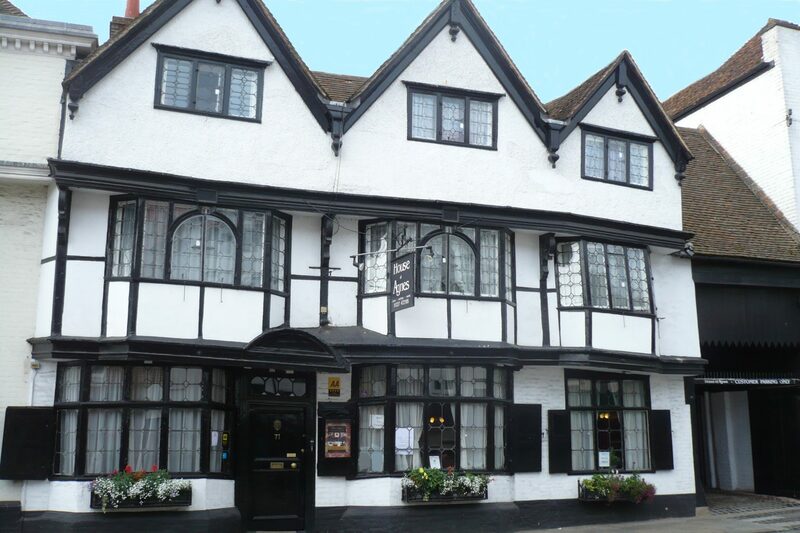 Only 200m from Canterbury West train station and a short walk from the Cathedral, the Marlowe Theatre, restaurants and shops, the main-house has the newly restored Cottage room and eight boutique-style themed rooms. All are uniquely furnished and with an abundance of amenities. The site of the 15th Century stables provides a further eight bedrooms. The modern en-suite bedrooms, all with the same amenities as in the main house, boast a sleek interior design enhanced with tasteful artwork and soft furnishings, providing guests with the stylish quality one expects at the House of Agnes. The unique ‘honesty bar’, library and a comfy lounge with eclectic decor and quirky furnishings create an interesting talking point and add to the friendly atmosphere that prevails here. Enjoy a glass of local Kentish beer and a game of chess or amuse yourself with one of the other board games readily available. Breakfast, set out in wood-panelled Quadrant room is a highlight; a cold buffet greets all guests with a selection of fresh fruit, juices, cereals, pastries, yogurts and preserves. This is followed by a freshly cooked Kentish breakfast or our ‘Special of the Day’ using local produce such as homemade sausages and free-range farm eggs which is hugely popular and a great way to start the day. Vegetarians and those with special dietary requirements are also well catered for. The heritage garden and buildings are steeped in history; as well as the recent discovery of a Roman skeleton and other Roman artifacts, an extremely rare Astrolabe Quadrant dating from 1388 was unearthed during 2005 renovations. It was described as ‘one of the greatest discoveries of its kind in the world’ and is currently on permanent exhibition at the British Museum.